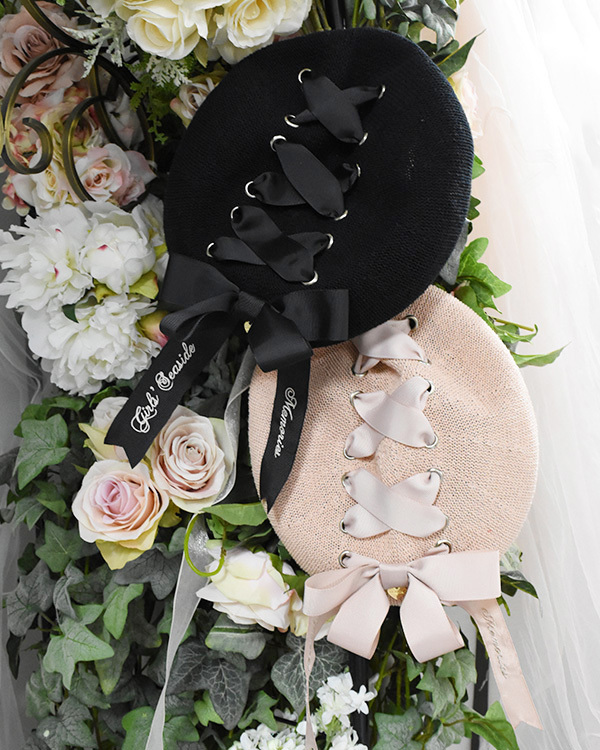 Popular LIZ LISA beret as a very NEW Spring / Summer version! 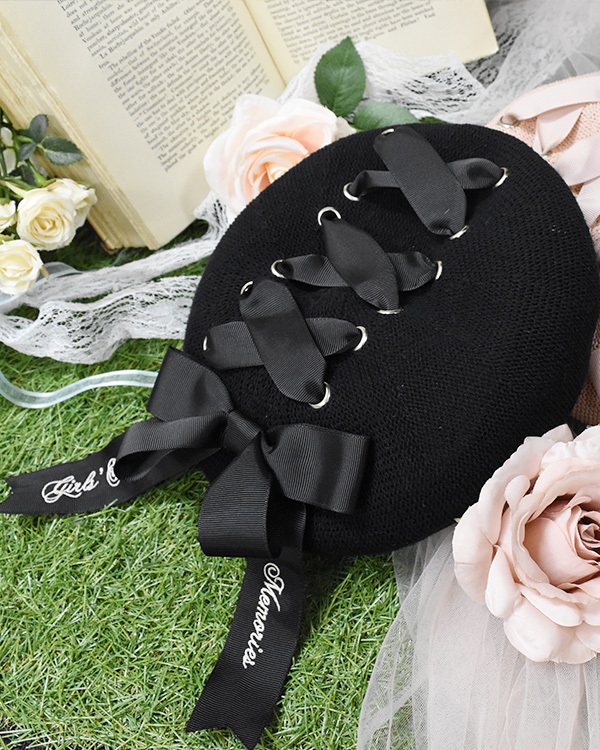 The light material is suitable for spring and summer! The lace up design is the cute point. 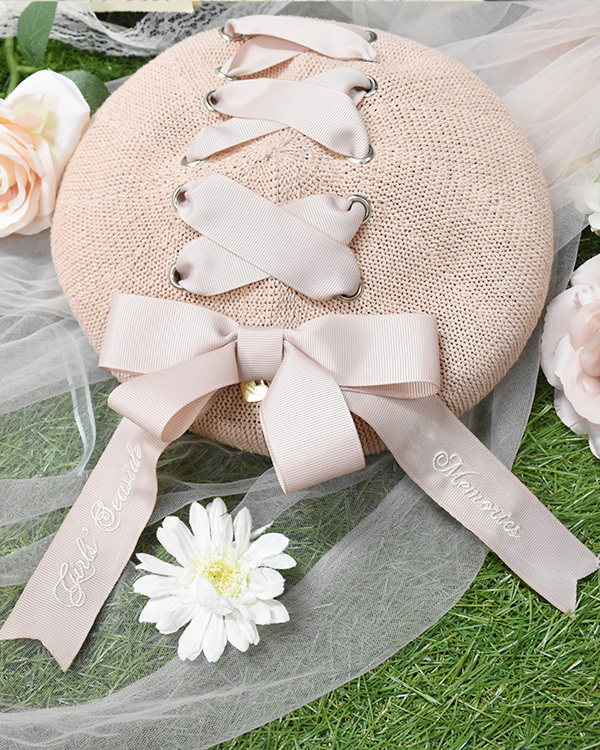 Additionnal message embroidery on the lace up ribbon!